Dr. Brody himself is very knowledgeable, however, the entire staff and general facility is very unprofessional and haphazard.The doctor and older receptionist are very nice, however, very forgetful and unorganized (which is not the best feeling going into a doctors office). They talk during the appointment, forget many details about your visit, and Dr. Brody even checked his phone while reading results to me. He has very good reviews, which I'm assuming is from more of the fertility side. If you need a general OBGYN check up I would not recommend this facility. The whole experience made question if I should get a second opinion - and that was just for an check up! Dr. Brody himself is very knowledgeable, however, the entire staff and general facility is very unprofessional and haphazard. The doctor and older receptionist are very nice, however,very forgetful and unorganized (which is not the best feeling going into a doctors office). They talk during the appointment, forget many details about your visit, and Dr. Brody even checked his phone while reading results to me. He has very good reviews, which I'm assuming is from more of the fertility side. If you need a general OBGYN check up I would not recommend this facility. The whole experience made question if I should get a second opinion - and that was just for an check up! 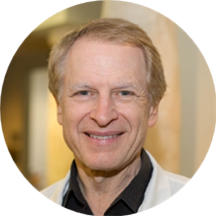 Welcome to LifeSpan Medical Institute, the practice of Steven A. Brody, MD, PhD! Our practice provides cutting edge medical expertise in reproductive medicine, IVF & infertility, and bioidentical hormones. Our Medical Director, Dr. Brody, was a past recipient of San Diego's "Doctor of the Year," and has authored two medical textbooks, including "Principles & Practice of Assisted Human Reproduction." Trained at Yale, Stanford and Baylor, he is the only doctor in the U.S. who has been Board Certified in the following four specialties: Ob-Gyn, Internal Medicine, Endocrine & Metabolism, and Reproductive Endocrine & Infertility. Dr. Brody employs advanced imaging, multiphasic lab testing, natural bioidentical hormones and state-of-the-art techniques to enhance health and optimize physical vitality. The goal is to reduce a person’s risk of cancer, heart disease, diabetes, osteoporosis and Alzheimer’s. For longevity medicine: We evaluate seven natural hormone systems in the body and use diet, exercise, nutraceuticals and bioidentical hormones to restore people to the healthy balance of their mid 30's. For menopause and andropause: We use natural hormones (including bioflavonoids, estrogen and testosterone) to cut hot flashes, prolong sleep, improve mood, and enhance sexual function. For reproductive medicine: We use natural hormones, as well as In Vitro Fertilization (IVF) & embryo transfer to overcome male and female infertility. Dr. Brody is a nationally-recognized expert in reproductive medicine, gynecology and bioidentical hormones. He also specializes in endometriosis, PCOS, pelvic pain, and all aspects of infertility, including IVF & assisted reproduction. Book your consultation with Dr. Brody today! He was great and professional. Went Great! !..so patient. He asked lots of questions and he answered many questions from me. The visit with Dr. Brody was extremely informative. I found his bedside manner to be very thorough and professional. I would definitely recommend him. Dr. Brody is amazing! He is professional, kind and the most knowledgeable doctor I've seen. I've been turned down as a patient by specialists at UCSD and Scripps but Dr. Brody not only knew about my rare genetic disorder but reassuredme that there are a number of therapies available to help. He spent over an hour reviewing my complicated history of surgeries etc and then right away we established a plan for going forward. He's so involved in the medical community that he knows all the best specialists in each field and helps manage these referrals, alleviating the overwhelming aspects of finding the right care yourself. You can tell in an instant that he genuinely cares about his patients. I'm so lucky to have found him and his excellent staff. I highly highly recommend Dr. Brody!! I love Dr. Brody. He's the best doctor I've ever had. He listens, he's empathetic, extremely knowledgeable, and he spends time getting to know you and your health problems. I started seeing Dr. Brody 2 years ago when I first foundout I had Hashimoto disease. At that point I was miserable and scared, fast forward two years...I feel fantastic, my symptoms have significantly improved and Dr. Brody has guided me to good health. Thank you!!! I have been there twice and they are nice. The patient rooms are very hot . Also , they forget alot of the stuff they say so they are constantly repeating themselves, and asking the same questions. I thought he was very nice and assuring that he can help me. I just was expecting to do more on the first visit. Nice doctor, however the office is not desireable. For example, the only restroom was out of order, and a foul order not associated with the restroom throughout the space. Despite few small issues his assistance is pleasant.